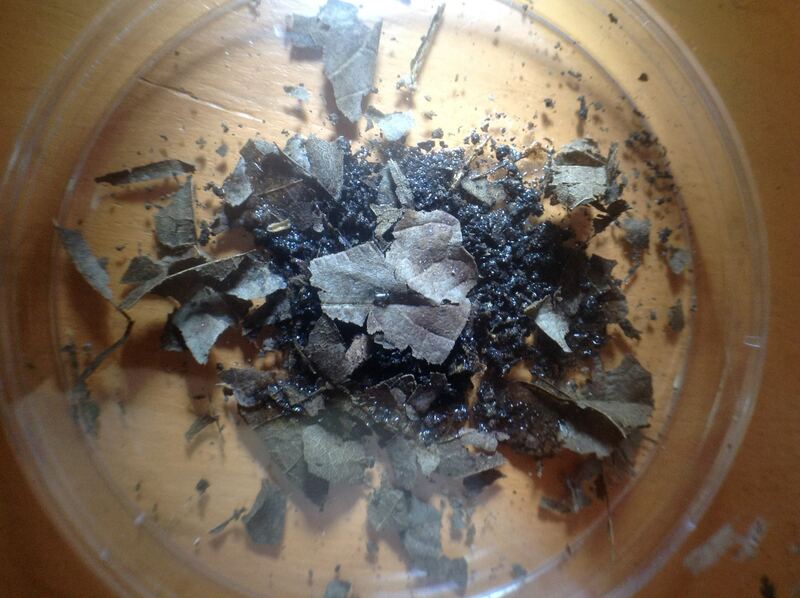 I have been attempting keeping Ponera pennsylvanica over several years. This year I have 6 queen all with eggs, a pile of 8 eggs being the most. 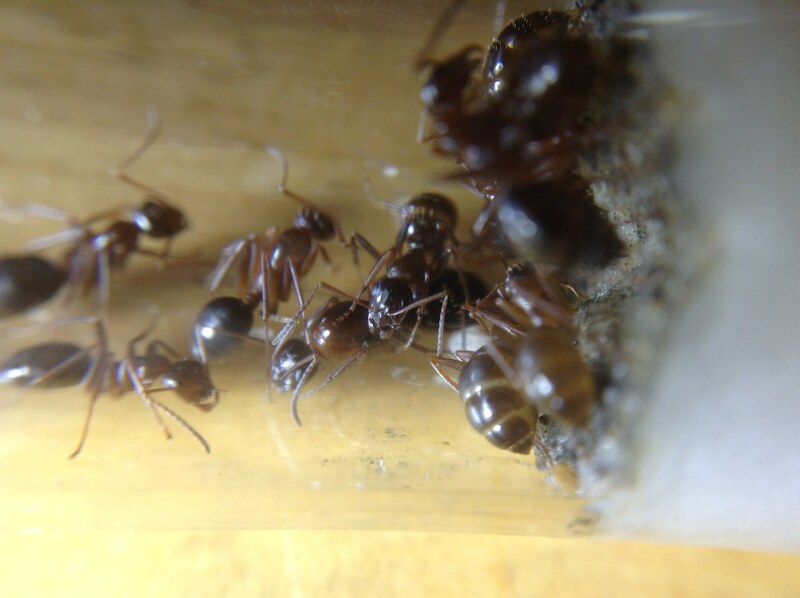 I also caught a small colony of 5 queens and some workers. 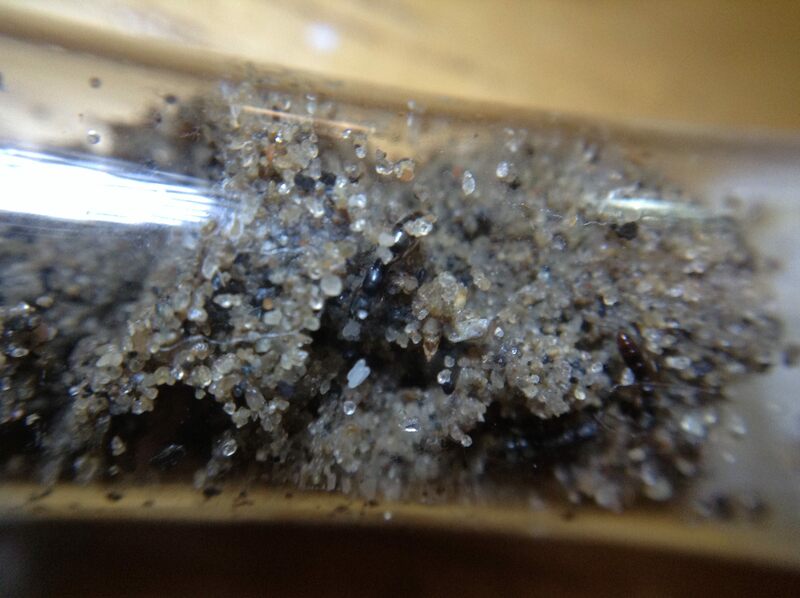 I have caught a small colony of Aphaenogaster rudis in April. 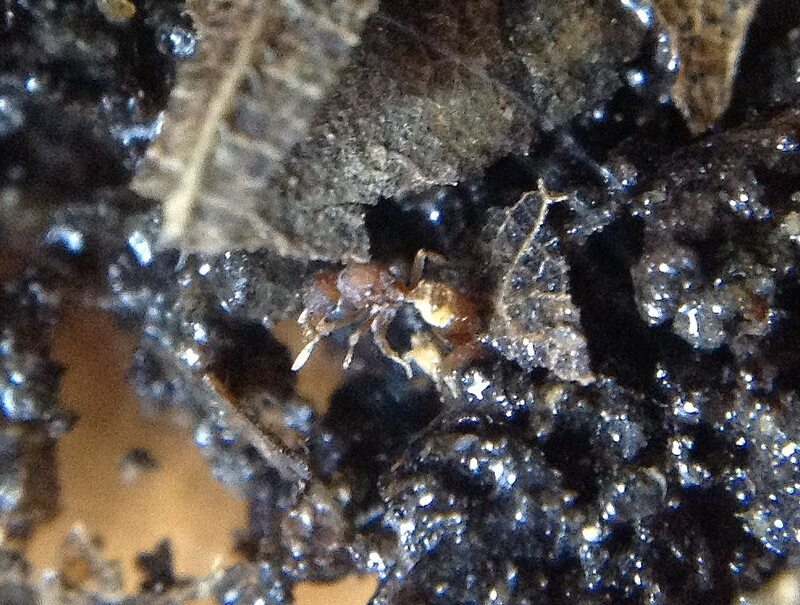 I can find tons of starting and mature colonies of Aphaenogaster under stones and logs in wooded areas. Right now they have a fair amount of workers and tons of brood. 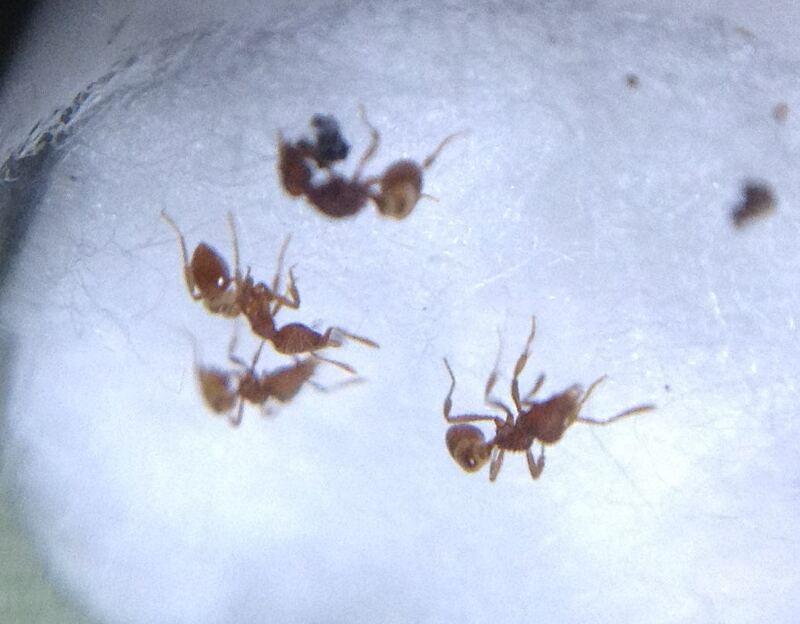 These in case anyone doesn't know are parasitic Aphaenogaster. 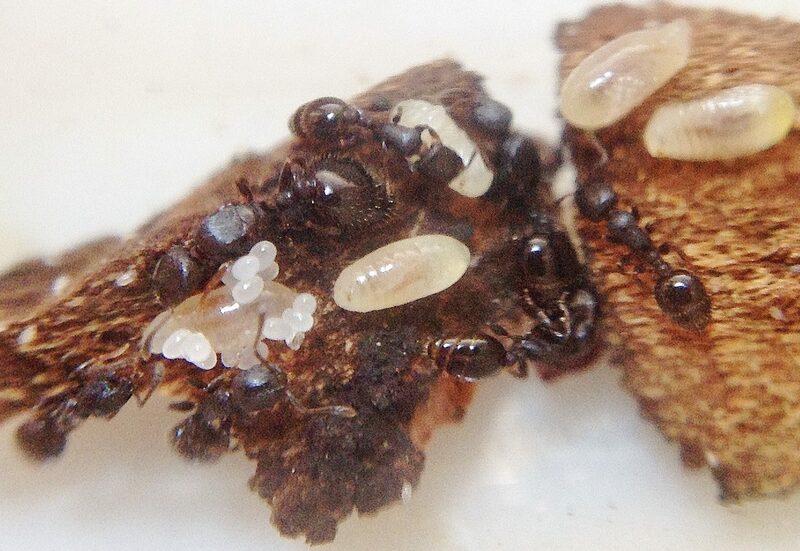 Right now the queen is sitting with 5 A. rudis workers with some pupa and she has recently laid some eggs. They also made some neat tunnels with pulled cotton. Caught a small colony of these under a stone coming out of hibernation at the beginning of April. They have a batch of eggs going. Caught these under some bark of a maple tree in March. They have laid quite a few eggs by now. This is the smaller of the 2 species I have. They were pretty active when I first put them into their setup, but they settled down shortly after I fed them. This is the larger of the 2 species I have. They were also very active until I fed them. 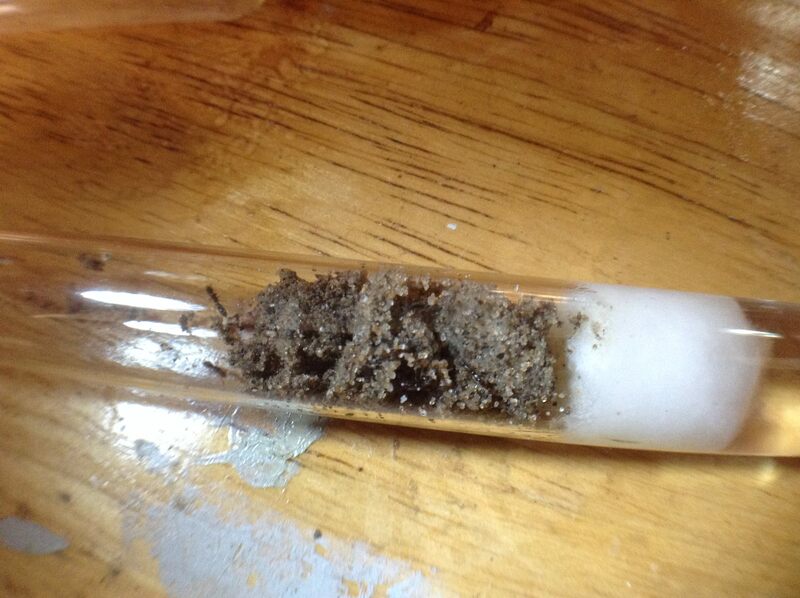 I have 2 queens so far both with eggs. 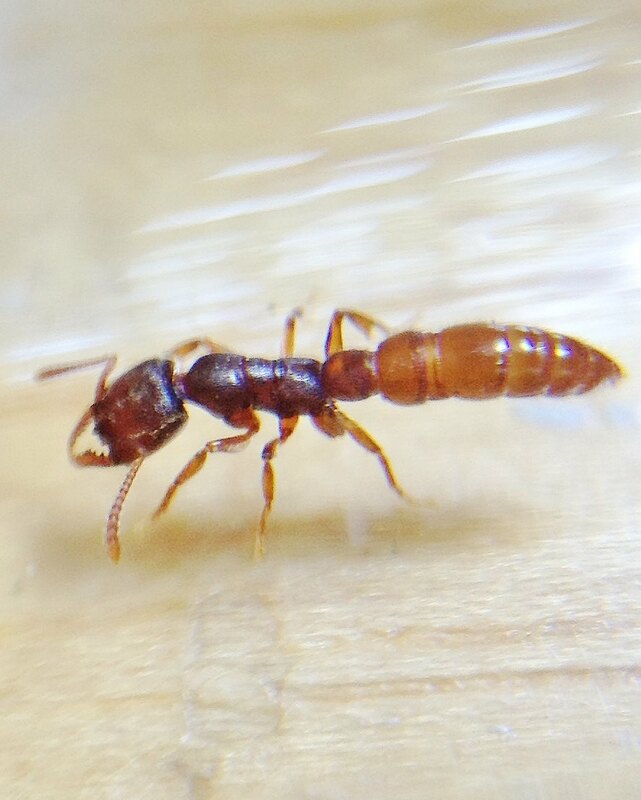 My favorite Camponotus in my area. They are huge and decently colorful. 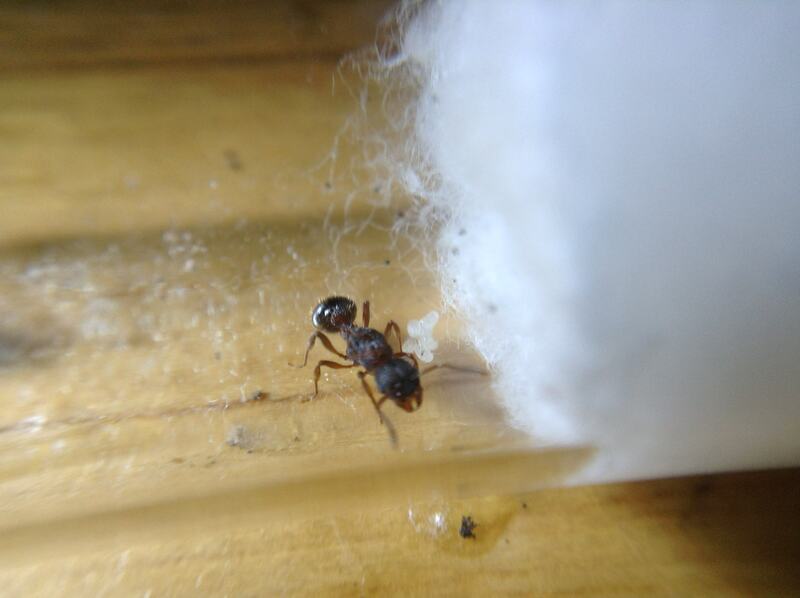 I have caught 2 queens recently with no eggs. Saved best for last! I don't have high expectations for them but I sure would love to get these going. 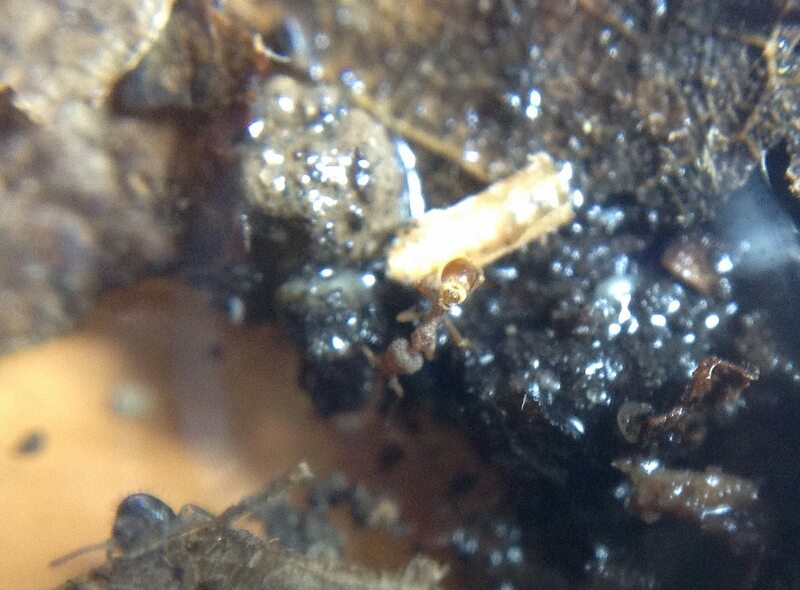 I have only fed them springtails so far which I have seen them hunt and kill. Found a small colony of them under a stone. Note - this picture was taken before modifications were made in order to see them somewhat clearly as they are only 1.5 mm long. The top one is the queen. 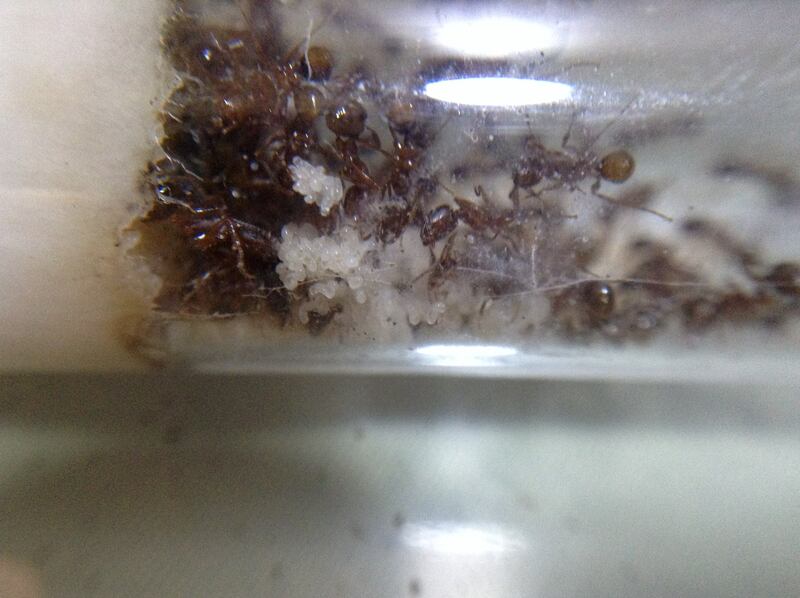 I just put the Strumigenys pergandei into their new petri dish setup. Got some nice pictures in their "natural habitat." Nothing really new about them and still no eggs that I can see. If they do lay any eggs, I will only notice it if they are in a sizable pile. wow how did you get the last photo? 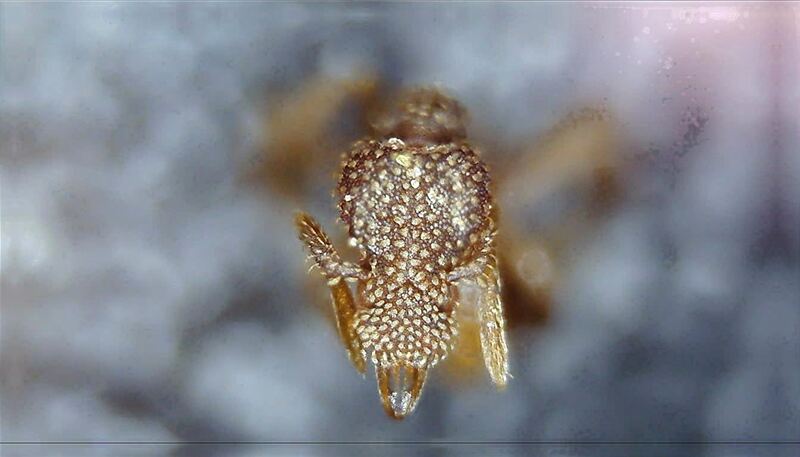 Kind of unrelated, but I'd like to show off my picture of Stigmatomma pallipes. 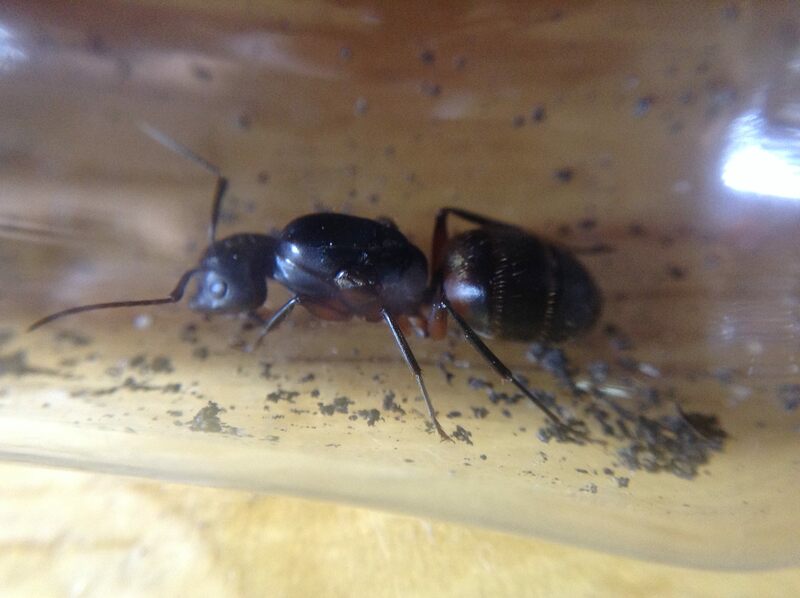 And this one isn't too great, but it is a queen. I guess I haven't been updating my journals as I planned to. For now, all I can say is the most important change (what I care about) is that I now have 2 Stigmatomma pallipes colonies. I recently made a video showing off a feeding. actually the Ponera is the one I am most interested in. How did you come across them? Nuptials? or purchased perhaps through GAN? You mentioned several years of attempting to keep the Ponera. Is this the same colony through those years, or have you gone through several? How old is that small colony? i would like to also know how you found both ponera and stigmatomma queens? Ponera pennsylvanica is actually very common in my area. 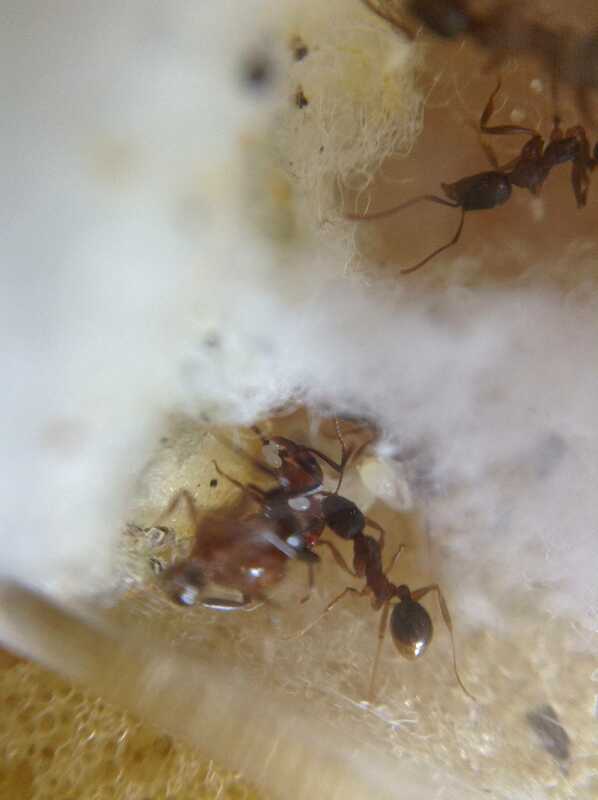 I also came upon a S. pallipes colony once, but they died.